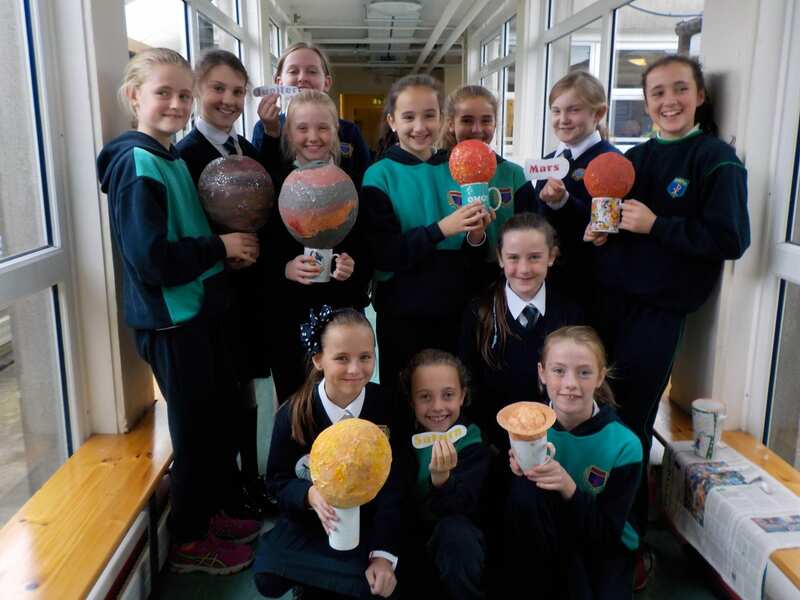 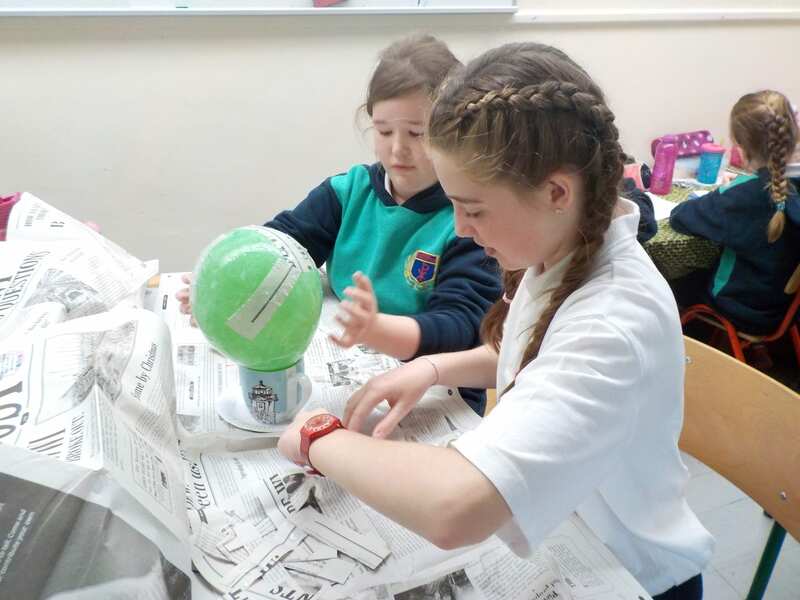 Space Week is Ireland`s newest national STEM (Science, Technology, Engineering and Maths) week in parallel with World Space Week, and took place this year from 3rd– 8th October. 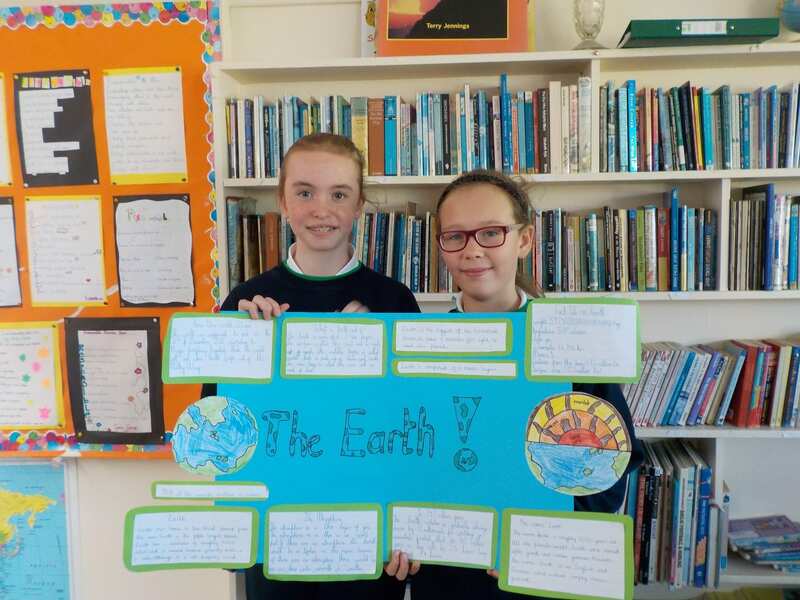 The theme was “ Our Planet, Our Space, Our Time”. 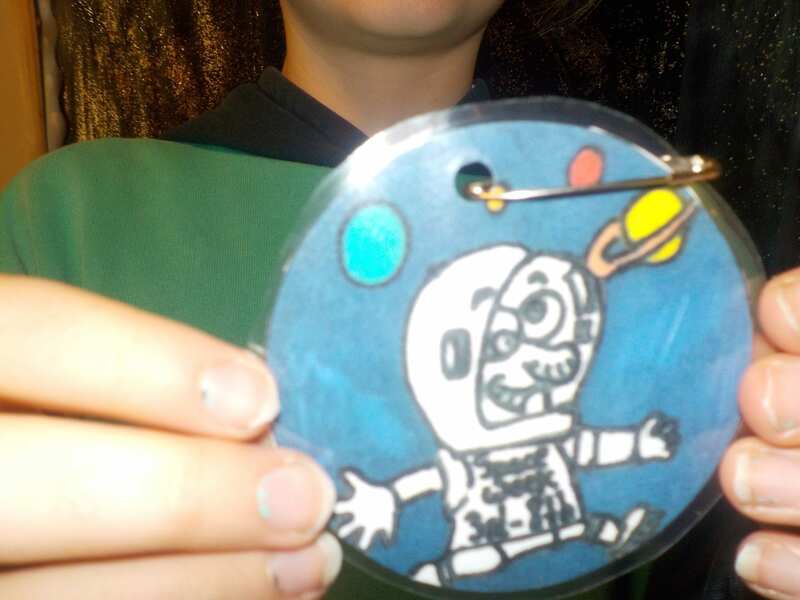 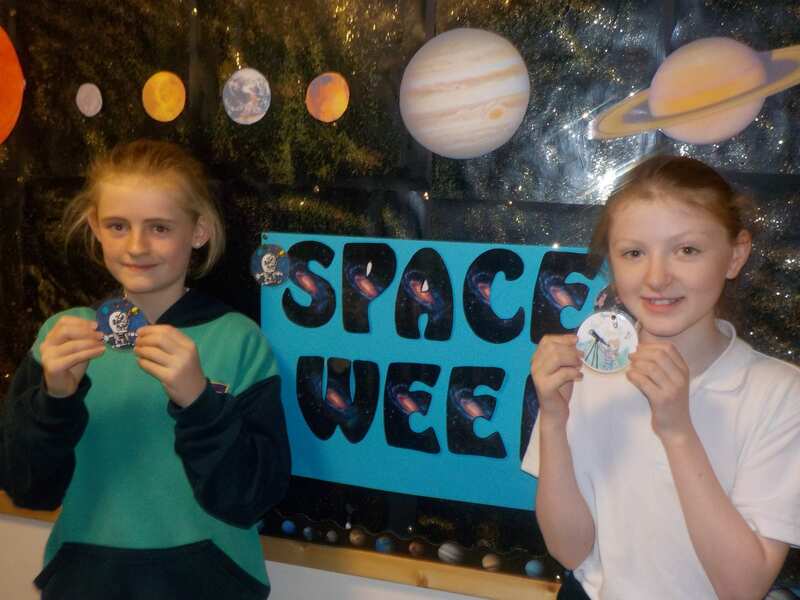 To mark the week, the girls in the two 5th classes displayed their amazing creative talents and designed Space Week badges for every student in the school. 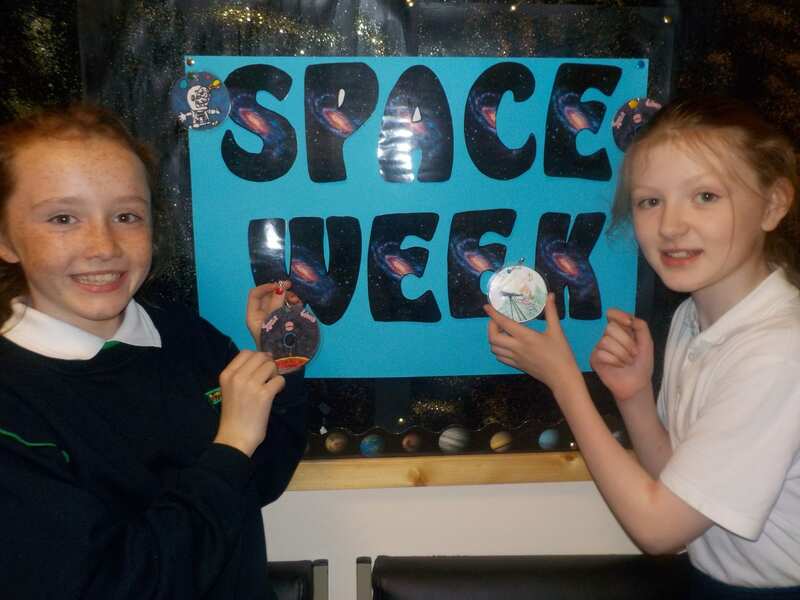 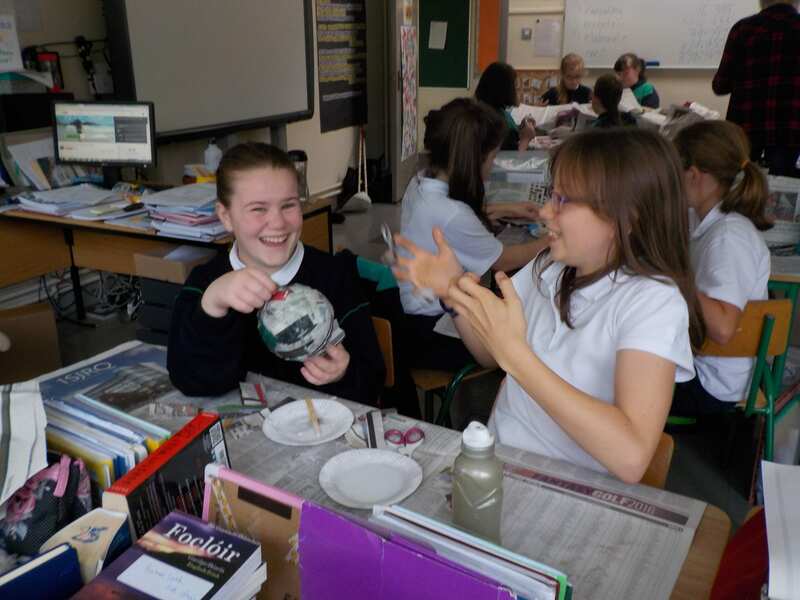 Throughout Space Week, the St. Pius girls had great fun enjoying all sorts of Space related activities, researching the most recent Space discoveries, experimenting to try and recreate surfaces of the planets, some of which have volcanoes, canals and Earth-like surfaces, presenting group projects on their favourite planets, watching clips and being absolutely fascinated at how insignificant Earth appears in relation to many of the other planets and stars, attempting to recreate Space in a classroom, enjoying fun clips of famous astronauts in Space, brushing their teeth and washing their hair, and much, much more! 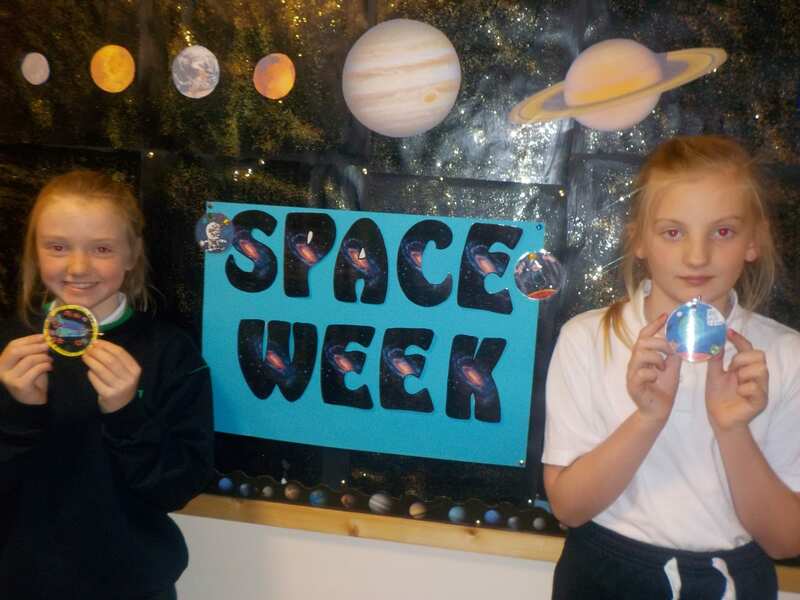 Many classes integrated their Space Week activities with other curricular areas. 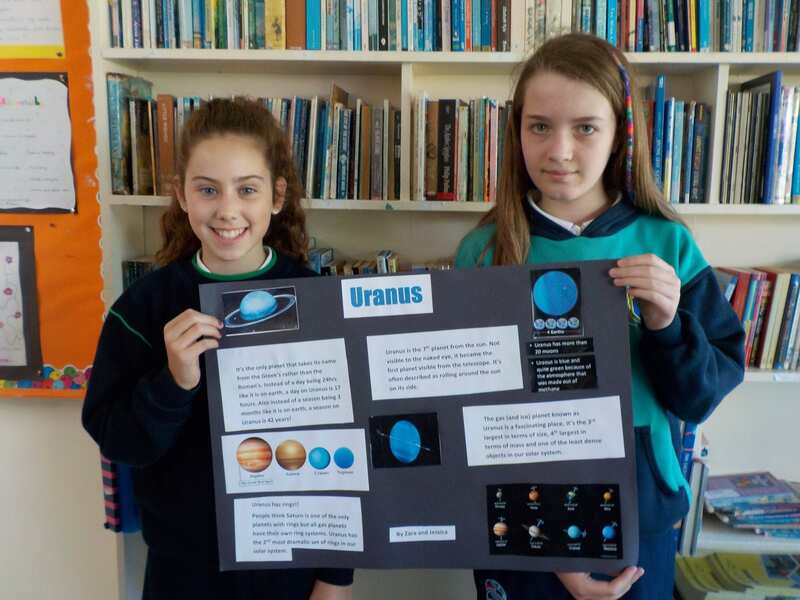 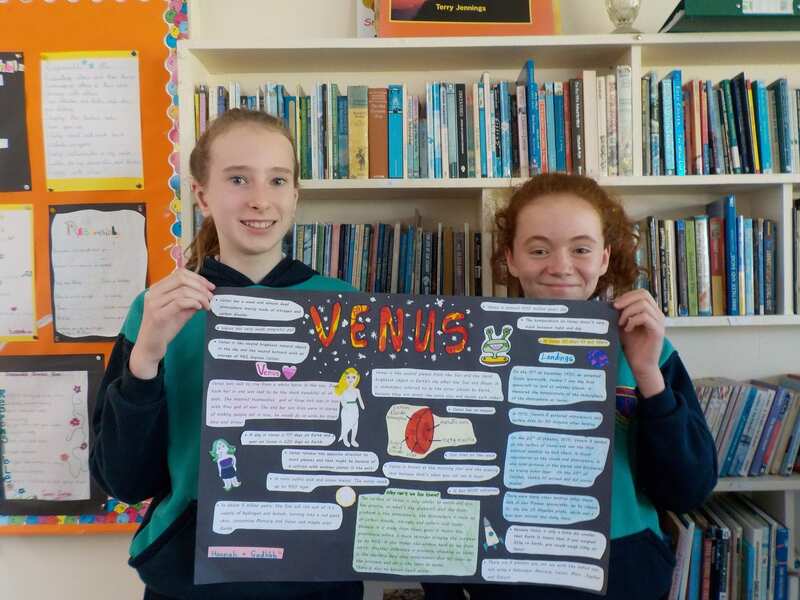 They wrote exciting Space stories and poetry, and attempted to resolve mathematical challenges around the diameter measurements of the planets and stars! 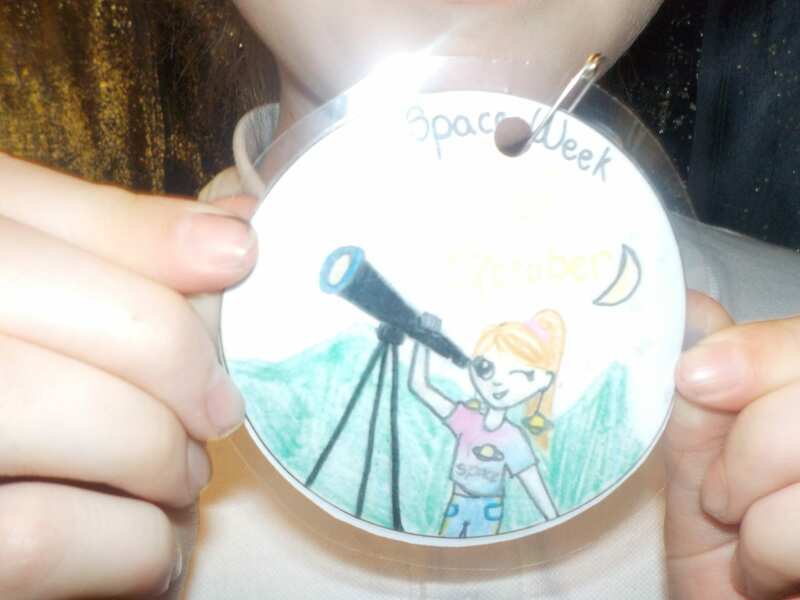 We`re very much looking forward to Space Week 2017, and invariably, lots more new and exciting investigations and discoveries!